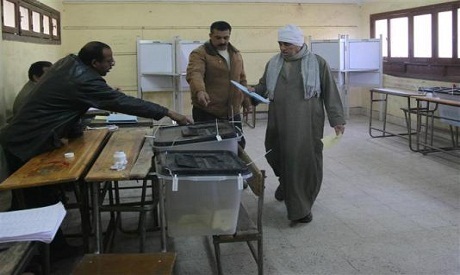 Egypt's parliamentary elections: 'Who cares'? Finally, Egypt will see parliamentary elections starting 18 October. But are voters still interested? When he felt his vote would finally count after years of indifference, Mohamed Saad decided to cast his ballot in consecutive referendums and parliamentary and presidential elections after the popular uprising in 2011 renewed hope for a better future for Egypt. A little less than five years have passed and Saad lost his enthusiasm and passion. He realised that hope is a good breakfast, but a bad supper. “I won’t vote again; it’s useless. I will do nothing, absolutely nothing,” said the 25-year-old, who works in a travel agency in Downtown Cairo, referring to Egypt’s upcoming parliamentary elections that kick off 18 and 19 October after months of procrastination and legal wrangling. The election of Egypt’s House of Representatives will complete a roadmap drawn up following the 2013 ouster of Islamist president Mohamed Morsi and return legislative powers from President Abdel-Fattah El-Sisi, but few feel the urgency left over from the days when heated political discussions yielded long voting queues and interesting debates over the credentials of potential lawmakers. In November 2011, almost nine months after an 18-day revolt toppled autocratic leader Hosni Mubarak, intense media coverage was a reflection of the interest many citizens had in the elections, with a big percentage deeming themselves apolitical but eager to shape the future of a country long beset by poverty and stagnancy. The November elections saw a historic turnout that exceeded 50 percent, in stark contrast to the 2010 elections when less than 20 percent of eligible voters cast their ballot amid widespread reports of fraud and electoral irregularities under Mubarak’s regime. It has been an out-and-out rollercoaster since then. The Muslim Brotherhood’s ascendance to the throne through Morsi in June 2012 was short-lived, with mass protests forcing them from power a year later and a subsequent crackdown on the group’s supporters, with numerous militant attacks on security forces playing in the background, putting Egypt in a continuous state of disarray and casting doubts over its path on a supposed transition to democracy. “My vote has never and will not change anything, simply because those who are in charge are moving the ship in the direction they want, not the direction we want,” Saad added. Others also express indifference, albeit without sharing Saad's dim view. Some believe El-Sisi has what it takes to single-handedly steady the ship. "We will witness a decrease in the public's level of attention compared to the 2011-2012 elections. The political scene now is more stable and the people are feeling more satisfied," Sobhi Eseila, a researcher at Al-Ahram Centre for Political and Strategic Studies, told Ahram Online. "The fact that we don’t have the same controversy we had during the last parliament has lessened the people's interest in the upcoming elections." Doom mongers or realistic media? Egypt’s business tycoon Naguib Sawiris, the founder of the Free Egyptians Party, which will contest the elections, might have inadvertently summed up the subdued mood ahead of the poll when he snubbed an event organised by his own party in a Cairo hotel to attend a football-related news conference a few metres away. Commenting on a deal struck by his advertising agency to purchase the broadcasting rights of the Egyptian Premier League, Sawiris said: "People are bored with politics now, but they never bore of football." To a large extent, the build up to the elections was rather overshadowed by football talk over a Cairo derby clash between Ahly and Zamalek, with a handful of television hosts who are normally known for their pro-government views making no secret of their worry over the possibility of a low turnout in the elections. In what looked like a desperate attempt to coax voters into flocking to polling stations, several television presenters warned against a possible repeat of the scenario that brought the Muslim Brotherhood to power, this time through the rise of the Salafist Nour Party, the only Islamist party that emerged unscathed from the security crackdown having opted to support the ouster of Morsi. Are they doom mongers, or down to earth? They have a point to worry, according to Sawiris. “The low turnout happened before, and when they (the authorities) decided to give people a day off so they can vote, people preferred to go to the North Coast,” he said in a television interview, referring to last year’s presidential elections when there was a media panic on the first day of voting after a modest number turned out to cast their ballots. An intense media campaign preceded Sunday’s parliamentary elections, with television ads attempting to convince people that their vote would definitely make a difference as Egypt completes its political roadmap. Critics argue that the upcoming legislature would only rubber-stamp executive orders by El-Sisi while also trying to pass through constitutional amendments that would give the president more power over parliament. According to the 2014 Constitution, the president’s appointment of a prime minister must be approved by parliament, whose power can reach as far as relieving the head of state of his duties if two-thirds of parliament agrees on a request to hold early presidential elections. “There is no real competition because most of the candidates are in a race to show their support and loyalty to President El-Sisi,” Mostafa Kamel El-Sayed, a political scientist at Cairo University, told Ahram Online. “There are no real political platforms that can be appealing to the voters. No one actually presented any tangible electoral programme. “The youths are also uninterested for many reasons. Those who took part in the January 2011 revolution are not interested because their friends are languishing in prisons. The same also applies to those affiliated with the Muslim Brotherhood. There are hardly any credible polls that firmly predict turnout, but the mood seems dampened. Few of the people interviewed by Ahram Online said they are interested to vote, with many saying they are disenchanted with political talk, showing clear signs of weariness after years of incessant turmoil. An elderly passerby in Downtown Cairo sauntered on when he overheard people discussing what should be done in the parliamentary elections. “Who cares, who cares!” he shouted, as he walked off slowly. Democracy is a learned process. It takes time to learn and practice. Egyptians are not very patient with this. Also Egyptians are used to trust the Pharaoh and let him do his job. It seems that the majority are happy with the way things are going now. They seem to see no need to change directions now. Only the MB are not happy. I believe that with time and further development of parties , the participation will evolve. Take it one step at a time Egypt. "I love Sisi more than he does." Why care? What programs have any candidate or party proposed? It is all about who loves Sisi more. The same old faces seeking their same old places dominate. Where are the bright' young rising stars? Where is anyone that was not there before? The parliament's elections are delayed and delayed. It seems the only immutable part of the road mapis the 15 day period to review presidential decrees. I hope the new pparliament has the will to can cell all of these laws until they can be reconsidered. They will not.